Seafood always tastes best when it’s fresh. Book your next Wrightsville Beach fishing charter, Topsail Island fishing charter, or Wilmington NC fishing charter with Captain Mike today! Mix 1 cup bread crumbs and 1 cup parmesean cheese together in a medium size bowl. Place 1 stick of butter and the juice of 1 lime into a medium size bowl and microwave until the buter melts. Place all 8 flounder fillets into the bowl. Next, dredge each flounder fillet in the crumb and cheese mixture. Then place the fillets into a roasting pan that has been sprayed with cooking spray. Salt & pepper the fillets. Place the roasting pan into a pre-heated 425 degree oven and bake for 30 minutes or until fish is flaky and crumbs are brown. Sprinkle fillets with salt and pepper and place them in a shallow dish. Combine garlic, 1/2 of the lemon juice, and the olive oil in a bowl. Pour the mixture over the fillets and let it marinade for 30 minutes. 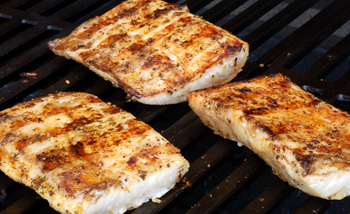 Place the fillets directly on a medium hot grill. Brush fillets with marinade. Grill them for 4 or 5 minutes on both sides. 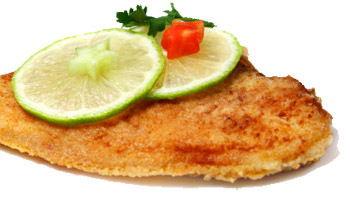 Remove the fillets when they are flaky. Be careful not to overcook. In a medium saucepan add the butter, other half of the lemon juice, and the parsley. Heat until hot then pour on top of the mahi fillets. Serve fish over rice or with vegetables.